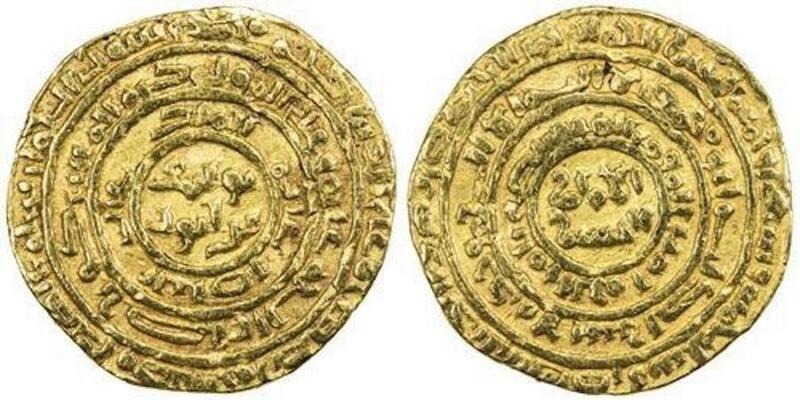 Obverse: The name of the ruler Yusuf ibn Ayyub یوسف بن ایوب in the central circle with three additional Arabic texts around it. Reverse: The name and the titles of the caliph al-Mustadi* (AH 566-575) inside the central circle with three additional Arabic texts around it. The outer circular text include the date and the mint. *Hassan al-Mustadi Ibn Yusuf al-Mustanjid (1142 – 30 March 1180) (Arabic: المستضيء بأمر الله‎) was the Abbasid Caliph in Baghdad from 1170 to 1180. Like his predecessor, he continued to occupy a more or less independent position, with a vizier and courtly surroundings, and supported by only a small force sufficient for an occasional local campaign. During his reign, Saladin ended the Fatimid caliphate, became the Sultan of Egypt and declared his allegiance to the Abbasids. ITEM #1410 FATIMID, al-Hakim AH 386-411 AR SILVER 1/2 DIRHAM, no MINT no DATE (scarce) , ALBUM 711-F HARD TO FIND! !